Are we really just 48 hours from Preview Night? Some of you may be packed and ready to go; some of you may be postponing your SDCC prep till tomorrow night. Some of you may already be there. Or maybe you're in a Putin/Prime Day rabbit hole. If so, remember that Comic-Con is the cure for what ails you - so here are 10 last minute reminders. 1. Bring your badge! There aren't enough panic attacks in the world for the moment you step off the plane and realize your badge is in another time zone. And if you need to pick up your badge, remember you can do so in the Sails Pavilion starting Tuesday. 2. Confirm your hotel. Today I cancelled Saturday night at my hotel. Of course the Hyatt robot effed it up and changed my reservation to Saturday to Tuesday. There's always some last minute drama. If you've had anything dodgy with your hotel room - a transfer, multiple reservations, etc. - it doesn't hurt to confirm your details now, before arriving. 3. Keep checking for Conan and other event tickets. Don't waste a lot of time on this, but remember that people will cancel their plans and give away their tickets. Keep your ear tuned on Twitter and the forums in case anyone has an extra ticket to something. 4. Make backup plans. Veterans know this: a lot of your plans won't work out. Bless your heart if you've designed some tightly plotted schedule, but at least 1/2 of it will fall through. Look through the guide and pencil in backup plans. 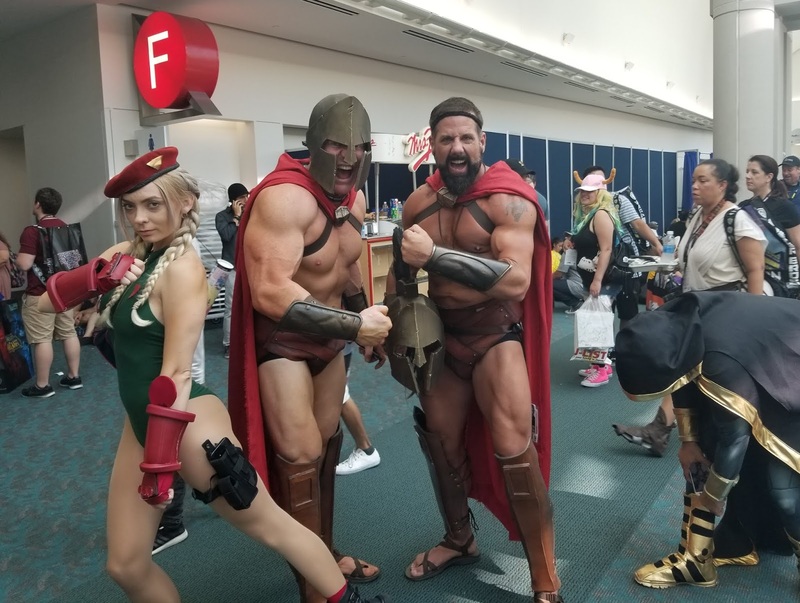 And don't be too militant with yourself; let your day evolve in unexpected directions, whether that's deciding to sleep in, skip a panel or accept an invitation to a Hall H line effort. 5. Bring extra batteries, headphones and portable chargers. Don't count on charging up when and where you need to. It's faster and more reliable to just pop in a fresh battery or use your own charger. 6. Abandon any half-assed cosplay plans. Every year someone goes into an 11th-hour cosplay panic where they want to be a certain character but haven't actually pulled something together. If you aren't at the finish line yet, forget it. You won't look as convincing or finished as you want to, and it's just more unnecessary stress. If you are committed, make sure you bring adequate repair supplies for sewing, armor, weapons, makeup wounds and anything else that can fail suddenly. 7. Print out anything you might need. I know, we're all so digital now, but devices fail. And sometimes you really need a hard copy of your friends' contact info, your schedule, your hotel confirmation, your Conan tickets, your barcode confirmation, etc. On that note, make sure you have a unified list of everything you're picking up for friends back home. You won't have time to scroll through text messages from 42 people, trying to remember who wanted what and where you can find it. 8. Clarify any murky hotel arrangements. Who's sleeping in what room? Who gets the bed and who's relegated to an air mattress? If you're part of a large group with multiple rooms/roommates, it doesn't hurt to do a final check to make sure everyone's covered. 9. Set expectations with family, friends and coworkers. 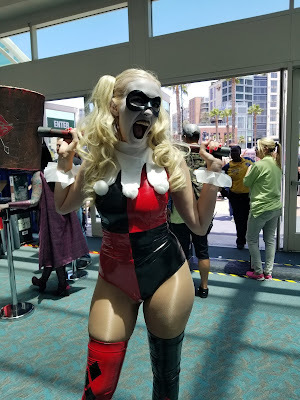 If people insist on bothering you at Comic-Con, let them know now that connectivity is very faulty in the convention center and you probably won't get their texts, emails and calls! Maybe that's true and maybe it isn't, but it's a statement that serves a greater cause: the potency of your Comic-Con joy. If you absolutely have to be accountable, schedule a daily check-in time and restrict them to it. Having your phone go off all day with work questions and annoyed demands for attention from your SO can really poison a fine SDCC moment. Their neediness can wait until Monday. 10. Take care of any banking transfers now. I'm always surprised by the number of people who show up at Comic-Con without any money. Often they're depending on someone to transfer money into a certain account or they thought their mom would let them borrow a credit card or some other mishap has ensued. If you have even slightly precarious finances, I would transfer funds around now to make sure you have valid credit cards and sufficient cash. Best advice someone gave me years ago: bring cash! It'll make for a faster transaction especially when there are dozens in line after you. Fumbling with debit/credit cards is a nightmare when you're literally surrounded by hundreds walking by you, bumping you with their bags of stash. and stepping on your feet. Unless you're a professional buyer/collector and plan to spend hundreds of dollars, then use credit cards. It's safer than wads of cash. But if you're like me, some country pumpkin from National City, cash helps to keep on budget.